If you're looking for a great alternative pie crust, this almond flour pie crust not only tastes great, it's very easy to make. You can even mix the ingredients right in the pie pan. Since this crust is baked before filling, it works best with fillings that require no additional cooking. Try it with a fresh berry filling or in this no-bake cheesecake. This crust works best in a 9-inch pie pan. If all you have is an 8-inch one, the crust will be a little thicker if you use all of it, or you can pat most of it in the pan and save the rest to use as a yummy topping for everything from ice cream to hot cereal. This crust is gluten-free because it swaps out the traditional flour base in a crust. The maple syrup and vanilla extract lends it to being used with sweet pies. Omit these and add a tablespoon of water for savory pies. In a small bowl, combine wet ingredients making sure to melt the coconut oil before mixing it into the batter, about 20 seconds in the microwave should work if your coconut oil is hard. Pat the crust into the bottom and up the sides of the pan in an even layer with your fingertips. If necessary, dampen your hands slightly to keep the crust from sticking to your fingers. Bake for about 10 minutes until the crust is beginning to brown. After 8 minutes, check every minute or so, because once it starts to brown, it goes quickly. Fill with your favorite pie filling or cheesecake ingredients. 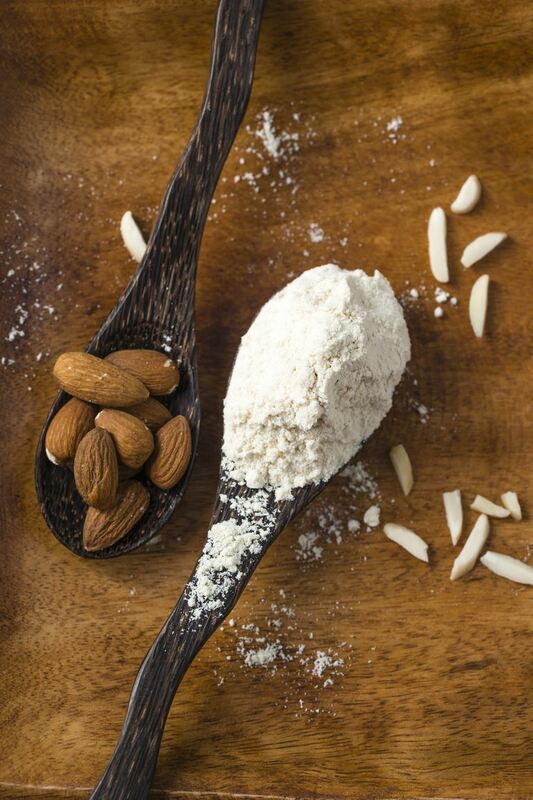 Almond flour is not the best choice in all baked goods but it is ideal for quick bread, muffins, some cakes, pie crust (as in this case) and even pancakes, although the texture of the latter will not be as fluffy as those made with white flour. Because nut meals have no gluten, it can fall short in yeasted bread recipes that depend on the development of gluten by kneading to give them structure. To get around this, recipes using nut meals/flour usually have more eggs to give them the rise they need. It can be used instead of white flour to bread foods that are either pan fried or deep fried. But it must be an item that requires a quick fry because nut meals tend to burn easily.